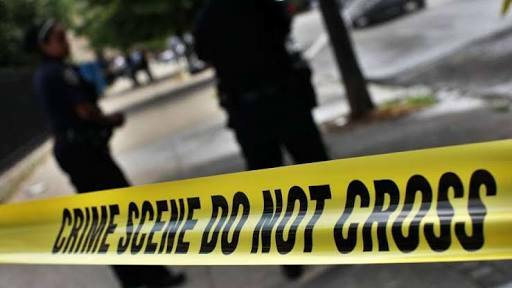 Ondo State Police Command said yesterday that it had apprehended a woman, Mrs.
Ajoke Adebayo and her brother-in-law, Idowu Adebayo, for allegedly killing her child, 14-year-old Mathew. The episode, which happened last Saturday at Oda in Akure, the Ondo State capital, has allegedly tossed the community into a meditative mind-set. Sources said Mathew, a JSS 3 pupil, was allegedly tortured to death by the suspects for ‘stealing N21,000’ from the bank account of his mother, Ajoke. It was learnt that when Mrs. Adebayo noticed that her son had stolen the money, she informed her husband, Mr. Ayodele Adebayo. Mr. Adebayo was alleged to have instructed his younger brother, Idowu, to punish the deceased. A source said: “The woman (Ajoke) called her husband to inform him about what their son did. The husband then instructed his younger brother, Idowu, to discipline the boy. “When Idowu was beating Mathew, Ajoke joined him and they injured the boy. Then they locked him inside a room and went away. Men of the command were reportedly invited to the scene and they arrested the two suspects. Police spokesman Femi Joseph, who confirmed the incident, said investigation had begun. He said efforts were on to nab the deceased’s father.